Mega Sale on Game Journo eBooks! 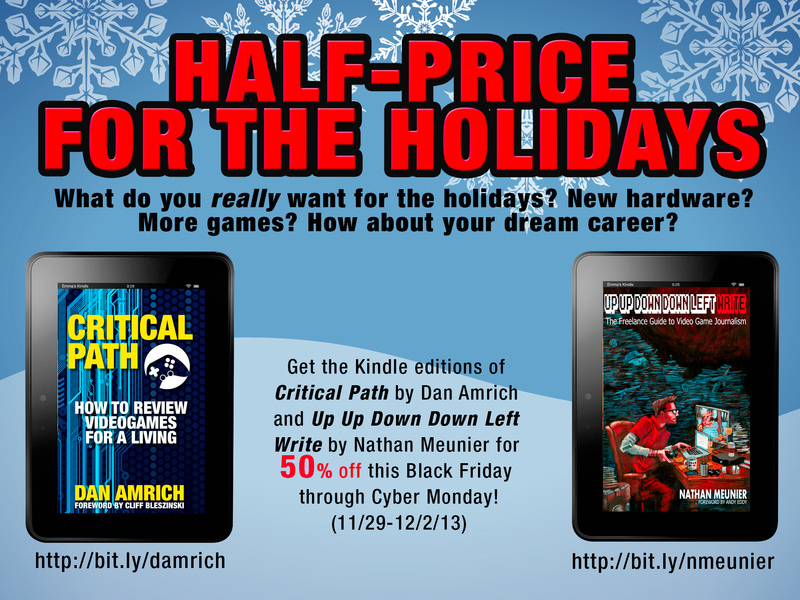 Critical Path + UUDDLW 50% off through Cyber Monday! Are you curious about video game journalism? How about freelancing? Or BOTH? You’re in luck! Dan Amrich and I have teamed up to offer you a huge discount on the Kindle versions of our respective how-to guides on nabbing a career writing about games for a living! Both books complement each other well and are packed with helpful tips and advice for aspiring game journalists and writers! 50% off from Black Friday through Cyber Monday! Starting RIGHT NOW, you can grab both ebooks for the price of one – each is 50% off. This awesome sale will only run through Cyber Monday, so act fast! 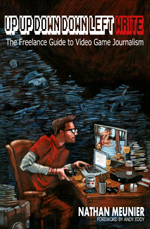 Grab Up Up Down Down Left WRITE: The Freelance Guide To Video Game Journalism now for only $3.99! 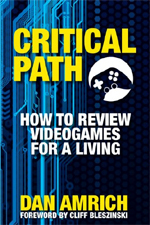 Grab Critical Path: How to Review Videogames for a Living now for only $4.99! We’d super appreciate it if you could help spread the word via Twitter, Facebook, Google+, Reddit, and anywhere else you can imagine! This is a GREAT time to gift a copy to a friend for the holidays too. And if you’re an editor or news writer for a gaming site, we’d absolutely love it if you’d consider writing up a news post on the sale and collaboration for Black Friday or Cyber Monday! This entry was posted in Freelance Game Journo Shop Talk, Shop Talk and tagged 50 percent off, advice, black friday, critical path, cyber monday, dan amrich, ebooks, freelance, freelancers, freelancing, game journalism, game reviewers, how to review games, how to review videogames for a living, joint sale, kindle, nathan meunier, sale, the freelance guide to video game journalism, up up down down left write, writing by nmeunier. Bookmark the permalink. a solid supply for consumers through the holiday season. thing as the hero. With Fring free i – Phone apps for ecommerce, you possibly can make long distance calls through Skype. determine if this sounds like the right TV for your home. the end of 2013, House said Sony can provide a solid supply for consumers through the holiday season. In the ideal scenario, the unhealthy guy wants a similar thing as the hero. posseses an internet connection and use of a cloud gaming service. It’s suitable a chance to make some blueprints for your long term and it is time to smile. I study this particular release if I’ll I would like to highly recommend an individual several attention-grabbing difficulties or even information. You may create up coming content articles about it document. My partner and i desire to master far more concerns regarding this!